There are rumours afoot that ask.fm is going to launch a token sale in the not too distant future. For those of you that are not familiar with Ask.fm, it is a Q&A social network with 215 million registered users. Maybe you’ve heard of Quora or in the coding world StackOverflow? Well, it is similar but bigger and caters mostly to young people and is arguably a little more frivolous. Users can ask and answer questions openly or anonymously, which is ideal for young people who are embarrassed to ask stuff they think they should already know – maybe mum and dad did tell them about the birds and the bees or they couldn’t work out what their parents were talking about in that coded lingo. Ask.fm is not so popular in North America and Asia but is well-known in Europe and the Eurasian side that was once part of the old Soviet Union. With 85% of its user base aged under 25, this is the sort of platform that has advertisers salivating. Ok, let’s get to the evidence for the prosecution. Exhibit one in the case for an imminent ICO: ask-fm.pro. A mysterious website has been parked by the European-based company that promises a second iteration of the platform – the page reads “askfm 2.0”. 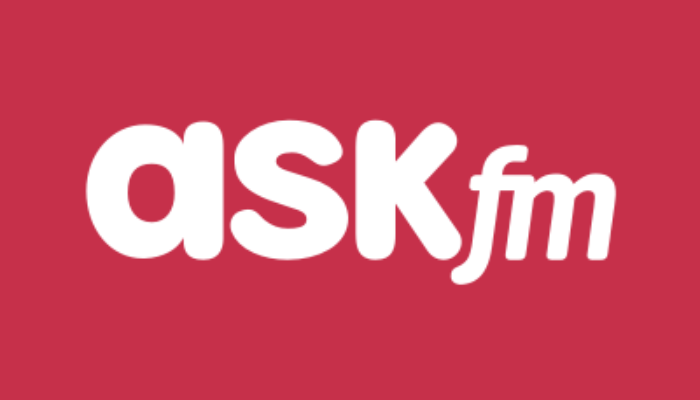 What might be the nature of the new-look askfm? Askfm released an app update back in 2014 that it labeled askfm 2.0, so it is extremely unlikely that the “2.0” emblazoned on the parked website refers to another redesign. The 2.0 this time, perhaps, hints at something radically different, suggesting that “Pro” references more than just a look-and-feel refresh, although that might be something in the mix. By way of an expert witness to help us determine the nature of the radical departure askfm has in mind, we need to look beyond askfm itself to the wider social network sector. You may have noticed that Facebook has had a little local difficulty recently. The Cambridge Analytica data breach has shone a light in the places Mark Zuckerberg didn’t want us to see. If consumers were not aware of it before, they certainly are now – with many social networks you are the product; your data is for sale to the highest bidder, or so it would seem. Facebook, Twitter et al, of course, deny this is the case, but their ability to sell targeted advertising is at the core of their business model. On one level, there’s nothing wrong with that, provided the data stays anonymized and, even better, the user has full control over their data and receive remuneration for user-generated content. However, as we have just seen in Facebook’s debacle, this is not the case or at any rate, cannot be guaranteed. That’s where blockchain technology comes in because it can do all of the above. Messaging app Telegram is going down the blockchain route and has raised a massive $1.7 billion already in its private token sale, and Canadian messaging social network Kik has already held its sale, raising $98 million, so it would be no surprise if askfm was to go down the same road. The main advantage, however, would be in making askfm less reliant on advertising and making the product more valuable to users by monetizing content creation and curation. For users, it means your answer becomes an asset that earns you money, or more precisely payment in the native token of the askfm ecosystem. So, what is the other evidence pointing to an ICO from askfm? Well, a flurry of domain name registrations is particularly telling. Two such examples are askfmico.com and icoaskfm.com. It is difficult to put any other interpretation on that discovery other than a token sale is in the pipeline. Both of those domains are in the name of ask.fm Europe Limited, according to the Whois directory of who owns what regarding web domains. Our last piece of evidence concerns the building of a decentralised social network. To achieve that end requires talented engineers and project managers with experience of development in the field. So, put all the evidence together and some educated guesses to join it all up and you come up with the highly probable supposition that askfm is at the very least thinking about an ICO, if not is about to launch one on an unsuspecting public. Let’s hope we haven’t ruined askfm’s plans by letting the cat out of the bag a little ahead of schedule.